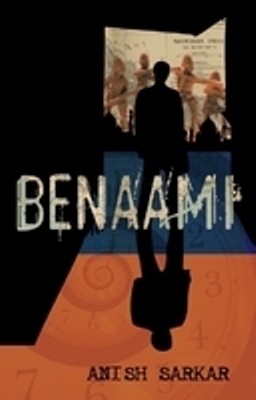 Benaami, the debut novel of Anish Sarkar is a significant step forward in many respects. First, the excellent production quality makes the discerning reader happy. (True, the printers devil has struck in a place or two but then I have yet to see a completely error free novel printed in India.) Amaryllis, a relatively new entrant in the field of English language publishing, deserves kudos for the high standards of editing and production. Secondly, and perhaps more significantly, it stands head and shoulders above the present lot of offerings in the market. A taut and pacy thriller, it moves effortlessly between the past and present as it tells us the compelling story of the past incarnation of Arjun, a software developer, as Kartik, the founder of a secret society named Benaami dedicated to uprooting British rule in India. Arjun is on a quest to solve the conundrum of his recurrent nightmares. Enter the charismatic Prof. Sheila Guha, who provides the support as well as the romantic angle. The story draws its strength from a secret from the past which poses a threat to the present of both Sheila and Arjun. The technique of moving alternately between the past (printed in italics) and the present is used well. Despite the complex storyline, the two stories intermingle well. The link between the past and present is brought out beautifully as the story hurtles along at a breakneck speed towards the explosive climax. The suspense about Brahmasrta, the secret weapon of Benaami is preserved till the end. The characters have been etched well, the pace never slackens and the suspense and intrigue is maintained till the last page. The story, though far fetched is plausible. I do see the plot of a major block buster movie in this novel. I am sure Anish Sarkar will be a significant name in Indian English fiction in coming years. If you are fond of fast paced thrillers, you will like this one.